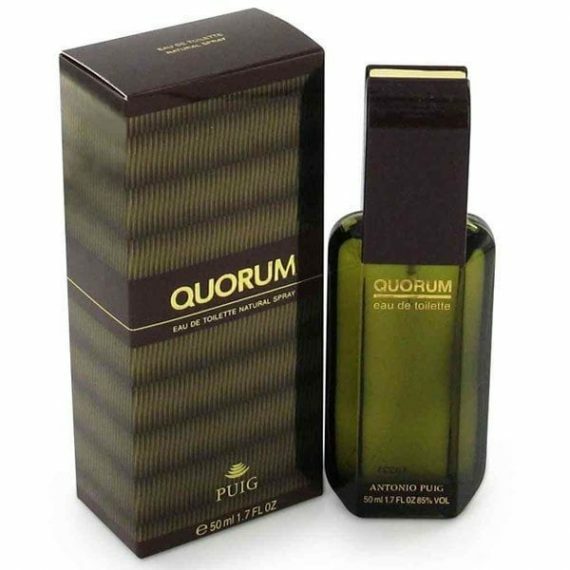 Quorum by Puig is an aromatic woody masculine Eau de Toilette with top notes of Bergamot, Artemisia, Cumin, Lemon and Grapefruit. 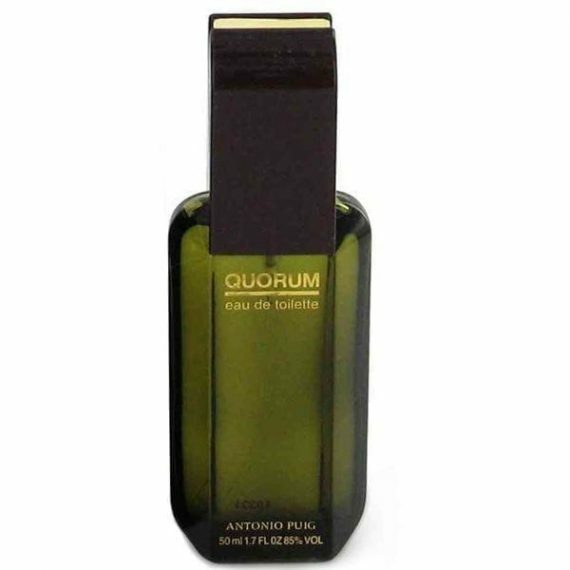 The middle notes are Patchouli, Jasmin, Pine, Sandal, Cyclamen and Carnation with a base of Leather, Tobacco, Moss, Amber and Olibanum notes. It is a notorious perfume. The predominant note is Oakmoss and the fragrance is long lasting. The scent was launched in 1981 in a glass flacon with a dark green and black hue.